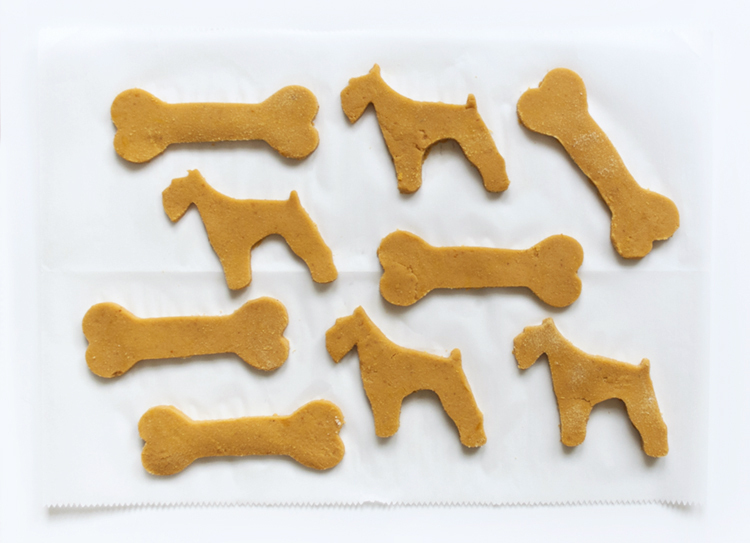 We might have missed posting on National Dog Day last week, but that didn’t stop us from spoiling our pups with homemade treats! 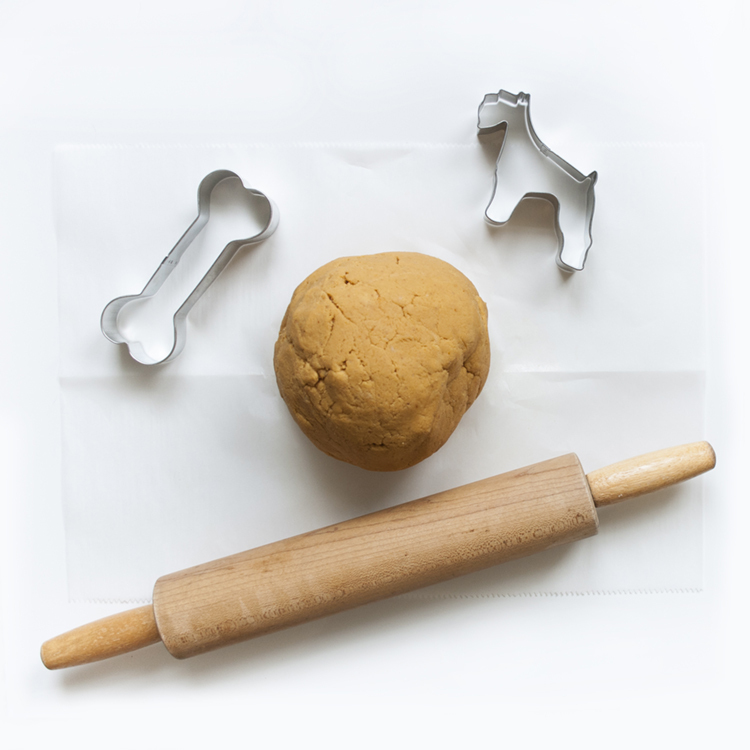 Finn and Piper went bonkers over our grain-free treat recipe. Brace yourself for cuteness overload in this post! 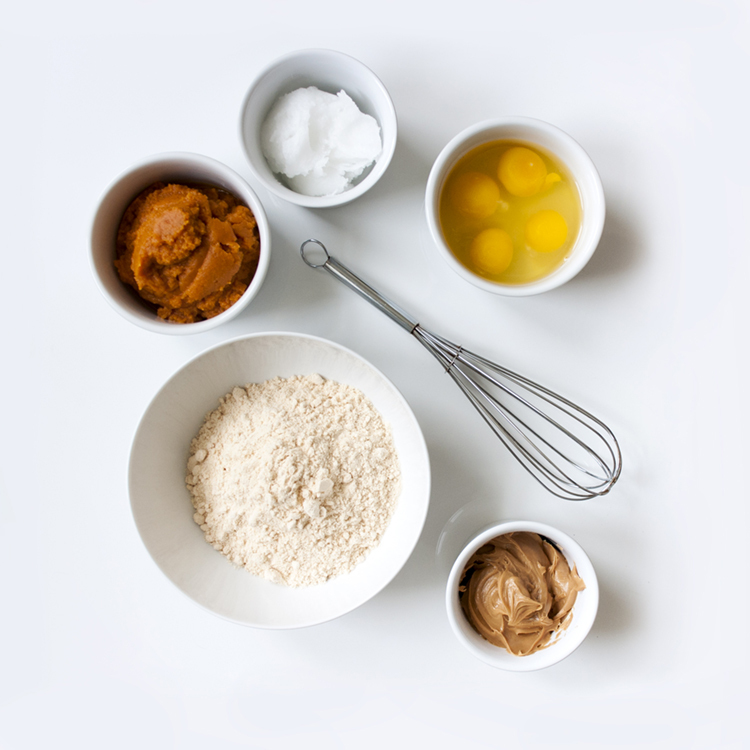 Gently press the cookie cutter into the dough and lift each shape. 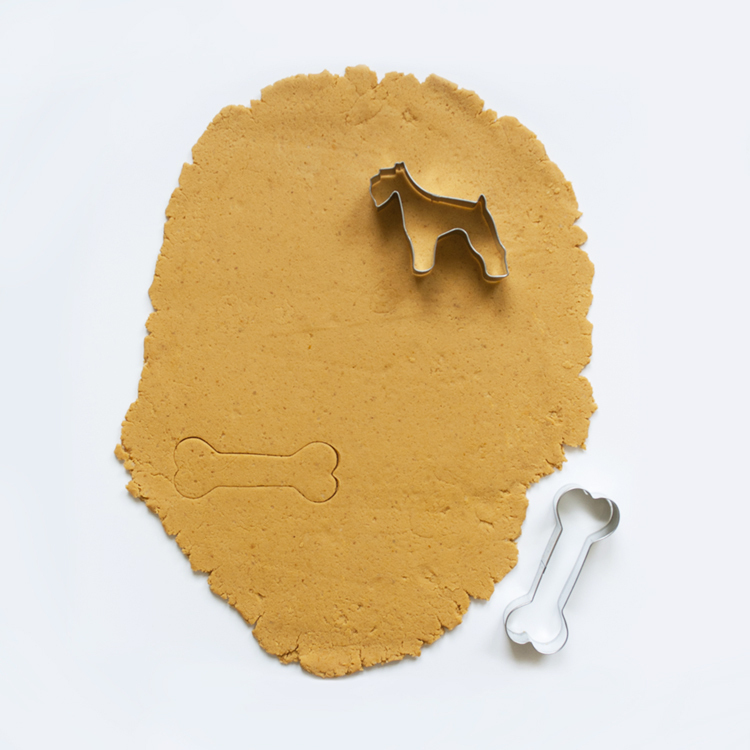 I purchased the dog bone and schnauzer cookie cutter from Etsy. 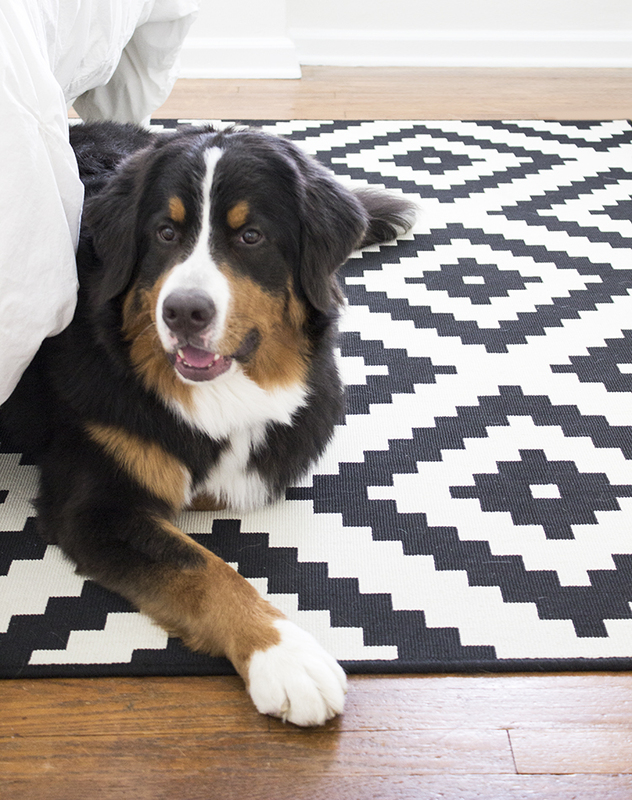 Sorry Berner fans, I couldn’t find a Bernese one. Don’t let Finn fool you, he did NOT wait patiently. We’re working on the “treat-on-the-nose” trick, obviously he’s not quite there… so for now we’re perfecting “treat-on-the-paw”. It took all of five seconds of my command “leave it” until he gave in and gobbled everything up- hints the crumbs and the guilty face below. 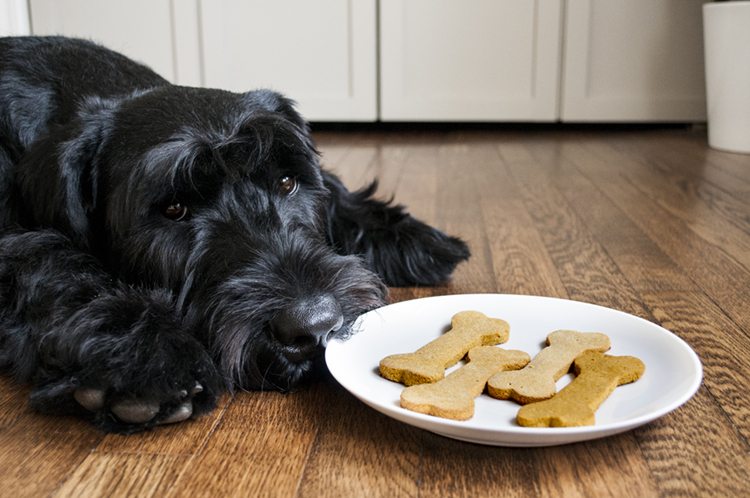 Regardless, the treats were a huge hit. I did a little experiment and placed them beside his favorite treat, salmon jerky. Finn went straight for the cookie every single time. That’s saying something! He must have thought they were super fabulous to pass up the jerky. 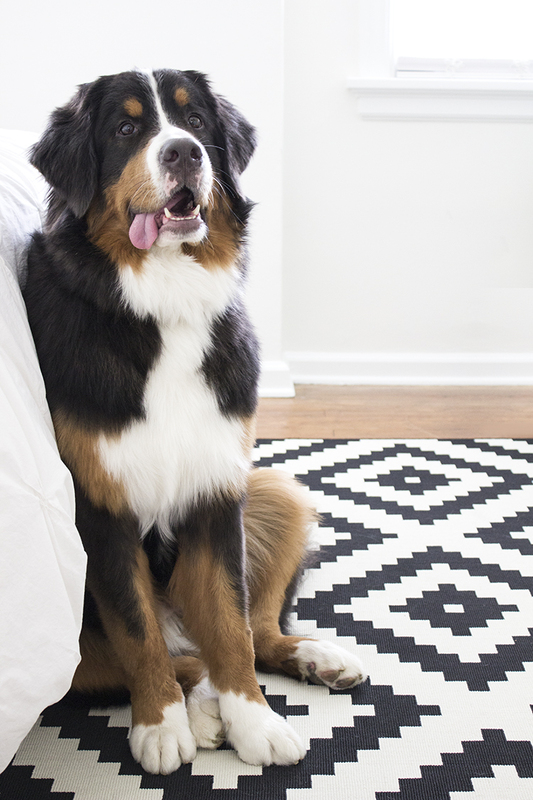 If you’re looking for another awesome dog related post, this one has been really popular, featuring our favorite pet accessories. 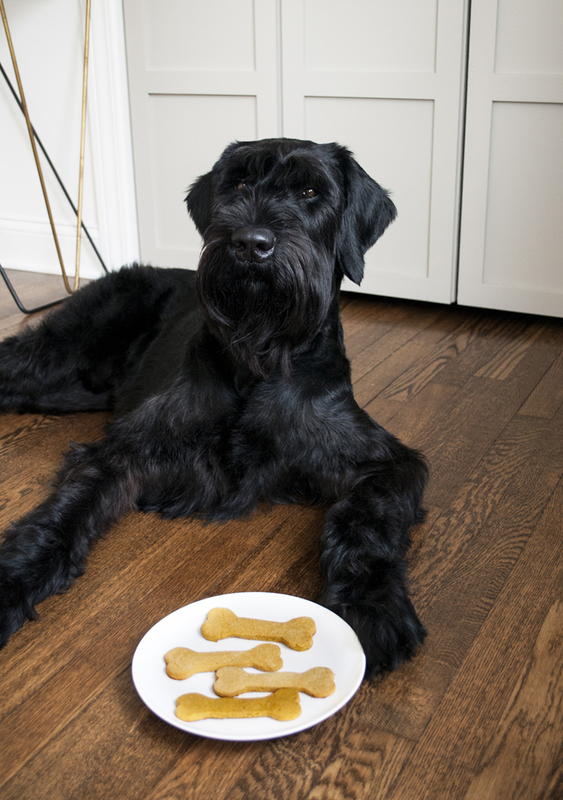 Now for the fun part: let’s see your cute dog pics with treats!! Post them below or on social media and be sure to tag us! For more of Finn, follow my personal Instagram account- I definitely spam it with schnauzer-related images. For cute Piper pics, you should follow Jacqueline. Let’s see your fur babies!! 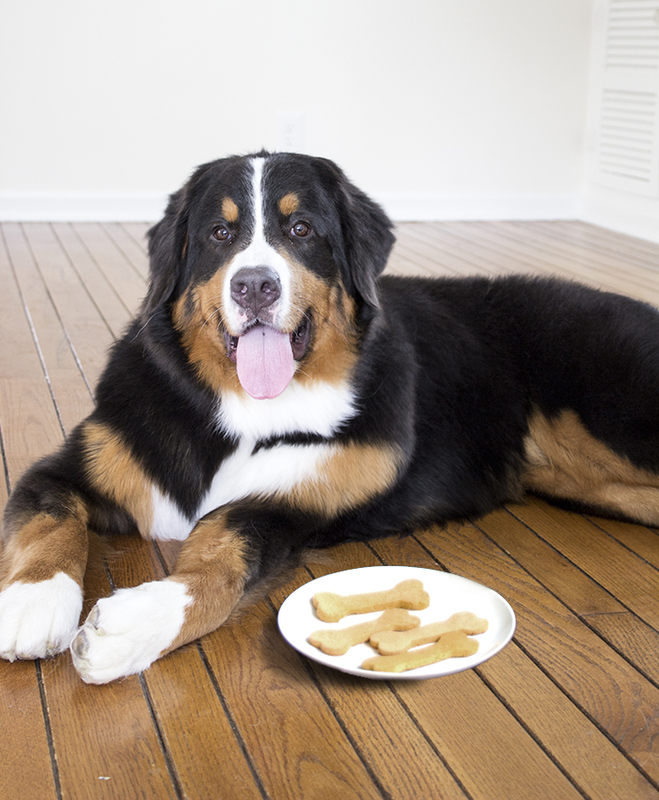 Wow, great pics and good advice on doggy treats. 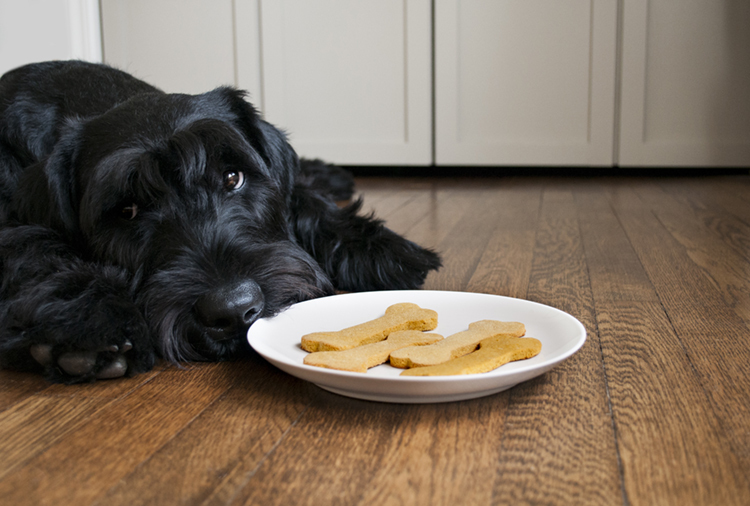 I made cookies for my dogs too but they didn’t look as great as yours (http://k9scout.blogspot.de/2014/07/hundekekse-dog-cookies.html). 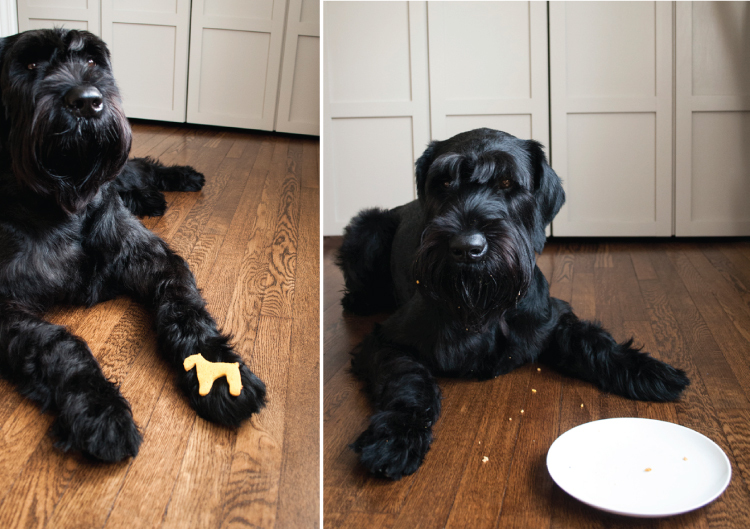 must definitely get this Schnauzer form for the cookies. im in love with your pups! What kind is Finn?? 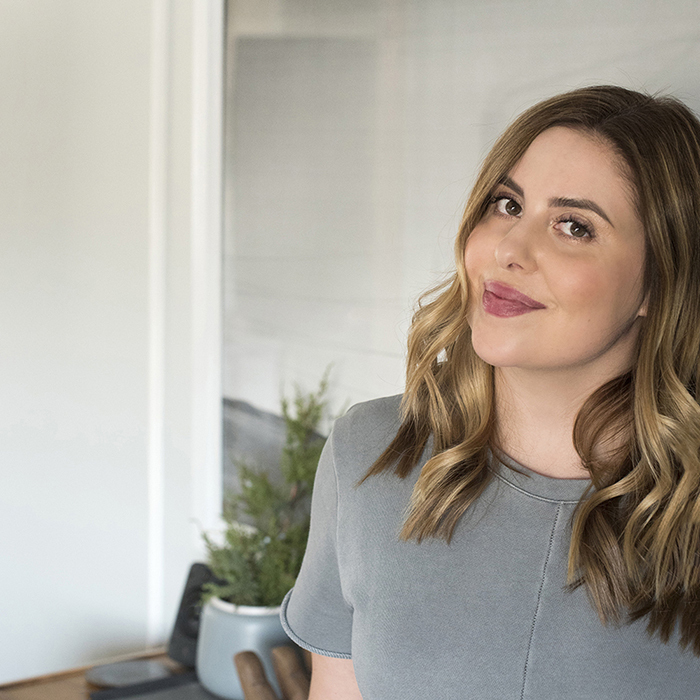 Thanks, Haley! 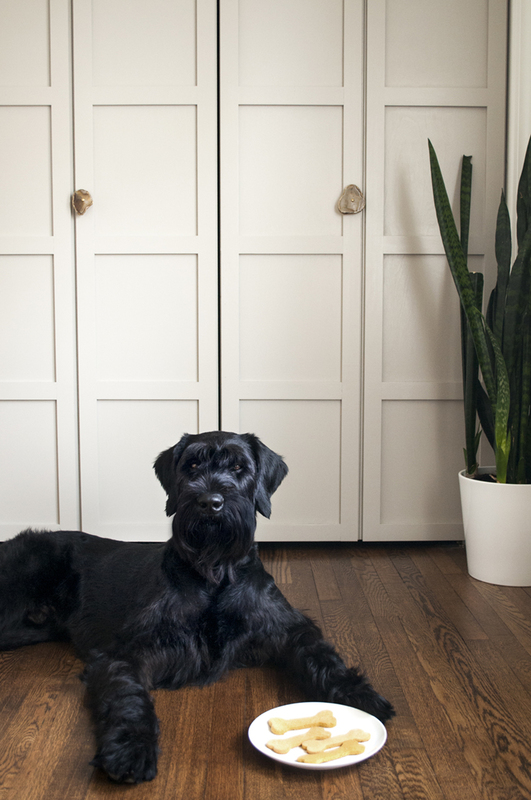 Finn is a giant schnauzer. He is quite the clown and never stops entertaining us!